Moving house is considered to be more stressful than having children or changing your career path. Life just seems to be an endless cycle of packing boxes, moving them from one place to another and hoping that none of your possessions gets broken or lost in the process. However, moving house doesn’t have to be stressful, it can even be an enjoyable experience if you follow these five handy tips. When you buy your new house, it’s easy to put off packing, thinking you have all the time in the world; but the moving day will be here before you know it, so get started as soon as possible. This will give you time to wrap each item individually in brown paper as this prevents any breakage or damage. You should also put your essential items (like medication) in a separate box that is clearly labeled; you’ll be grateful for this during the first few days in the new house when you desperately need an item. Movers really know what they’re doing and they have the best vehicles to transport your belongings from point A to B without fear of them breaking. They can make the day go smoothly and even help out with the arduous packing and unpacking process. 3. Declutter using the KonMari method. The KonMari method asks you to give or throw away an item if it doesn’t bring you joy when you hold it. This is a useful tip for the sentimental who have attached meaning to every possession they own but want to be ruthless when decluttering. You’ve decluttered and bagged up old possessions that are ready to be loved in a new home; getting those items to the charity shop is another story and often a task on the to-do list that gets neglected. What most people don’t know is that you can organize the charity to come and pick up the items right at your door; this saves you a job and gives you a deadline to organize your wardrobe. Imagine the number of boxes you’re going to need – then double it. Ask friends and family to provide any boxes they might have lying around and take a trip to your local supermarket to see if they have any storage boxes going free. Moving day doesn’t have to be stressful. 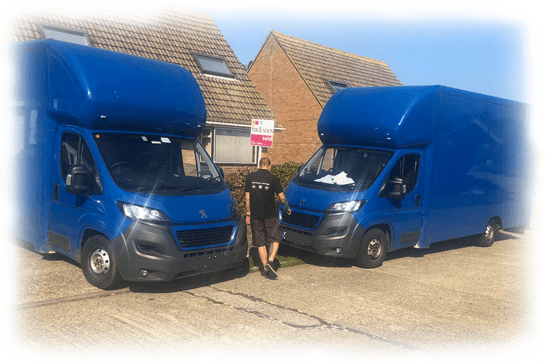 Follow our biggest tip and hire professional removal companies London to ease the stress of the big move.